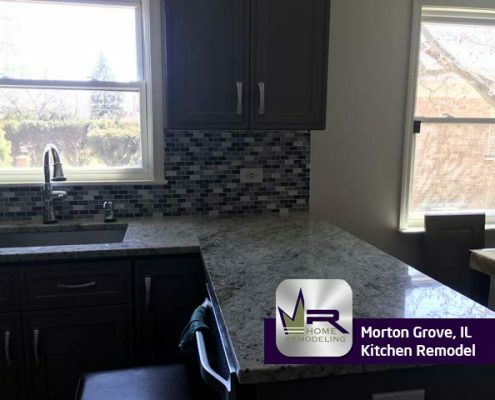 This home can be found in Morton Grove, IL. Morton Grove is a village located in Cook County just 15 miles north of downtown Chicago. 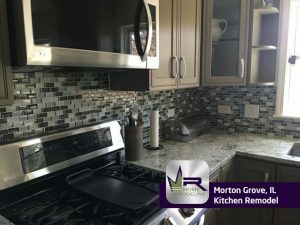 As of 2010, the population of the village was just over 23,000 with a growth rate of 3.6%.Morton Grove acquired its name after former United States Vice President, Levi Parsons Morton who assisting in financing the railroads for Chicago, St. Paul, and Milwaukee.In 1981, Morton Grove became the first American town to ban the possession of all handguns, however, the ban was dropped in 2008 after the District of Columbia v. Heller Supreme Court hearing. 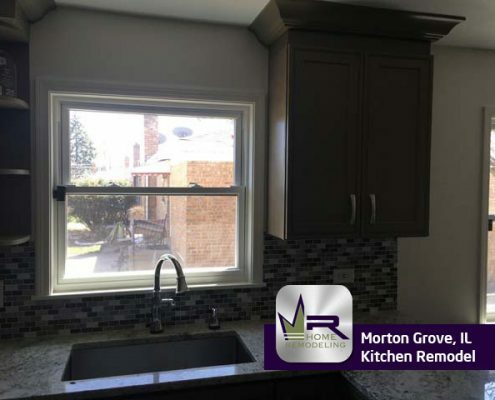 Morton Grove is a quaint village that many people enjoy living in due to its easy access to the city. 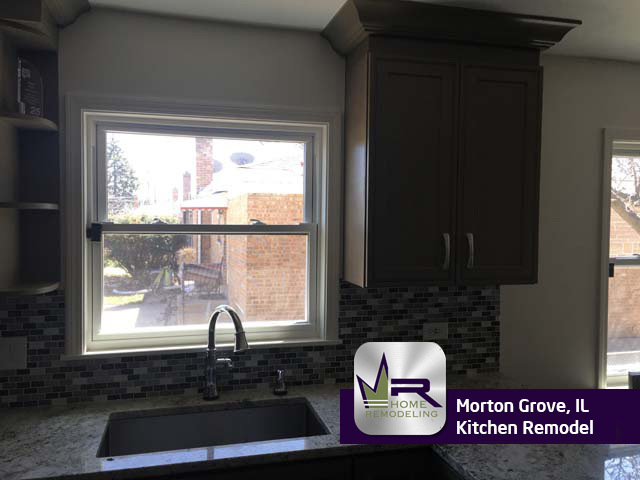 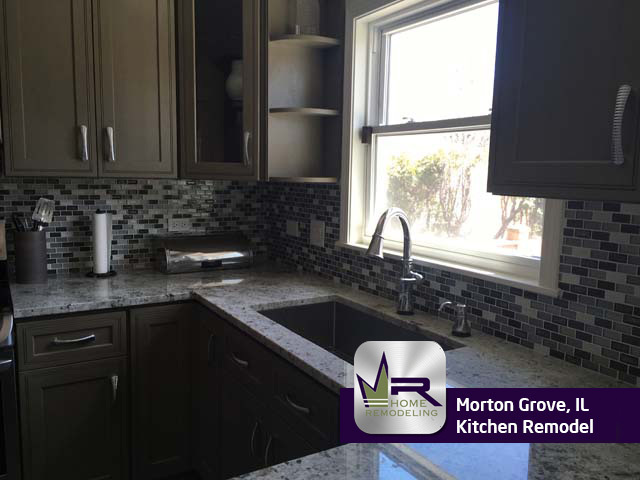 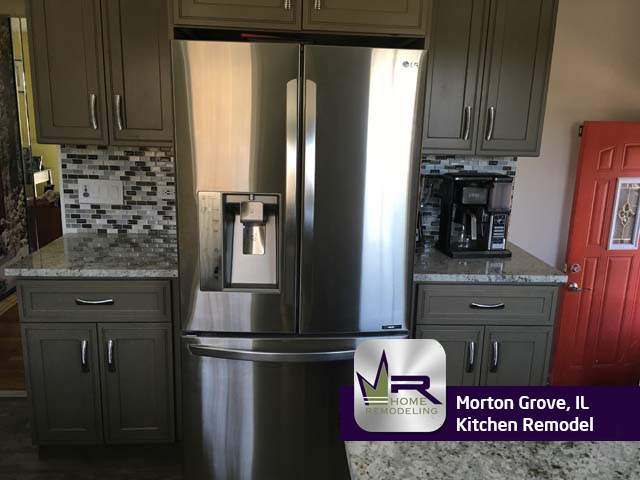 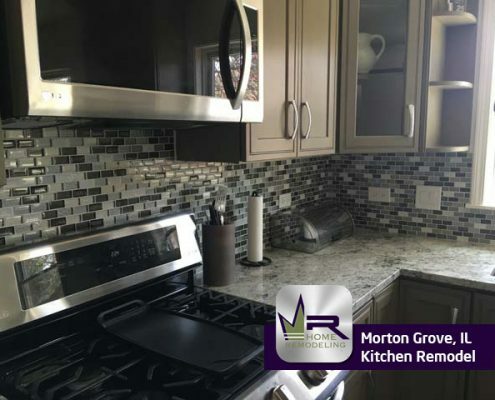 The residents of this lovely Morton Grove home wanted to make some major changes to their kitchen. 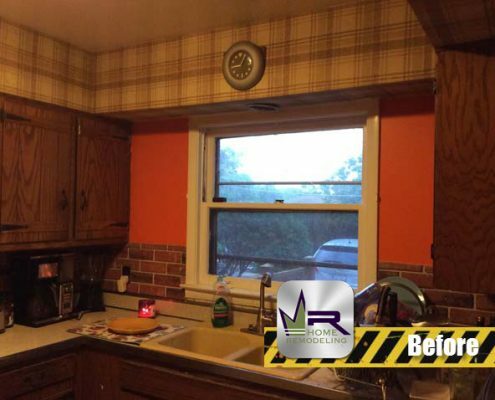 They were interested in changing the layout, finishes, appliances, and color scheme. 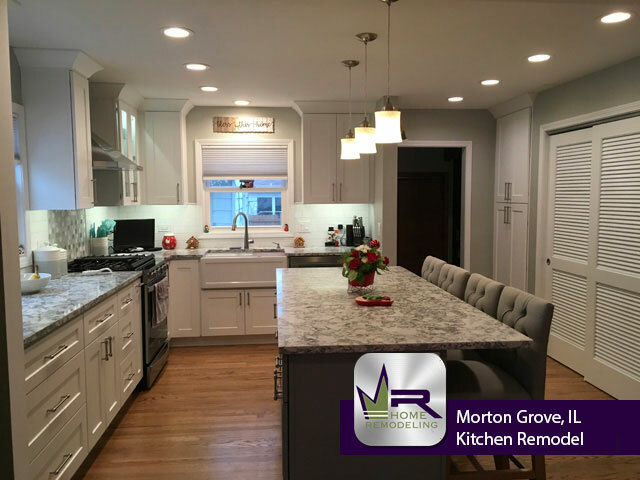 However, the size of the kitchen had become a major issue to this family, so the most important part of the remodel was to make the kitchen larger. 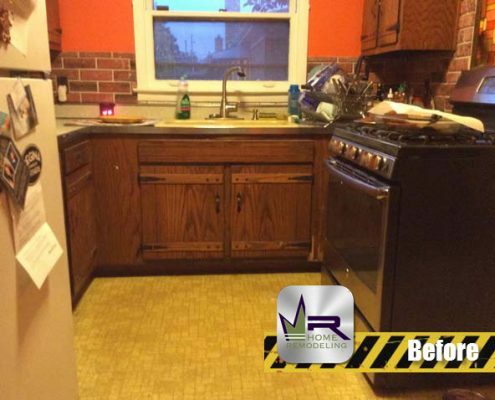 To begin the renovation, Regency would need to remove all tiling, flooring, appliances, fixtures, as well as demolish the partition wall that was separating the kitchen and dining area. 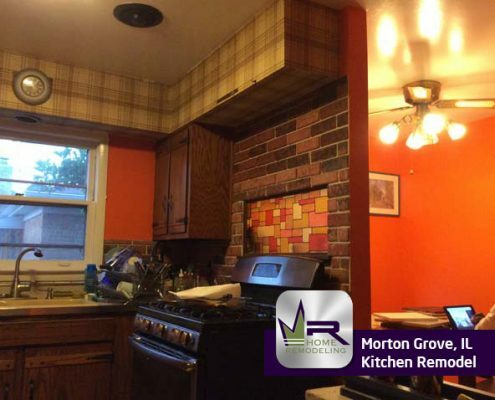 This would allow for the kitchen to be much bigger and open and would create a more open floor plan. 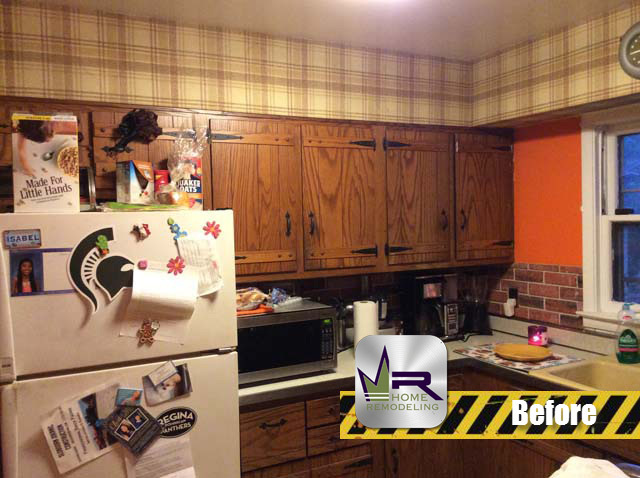 Additionally, the customers wanted to create an elegant appearance that would not go out of style. 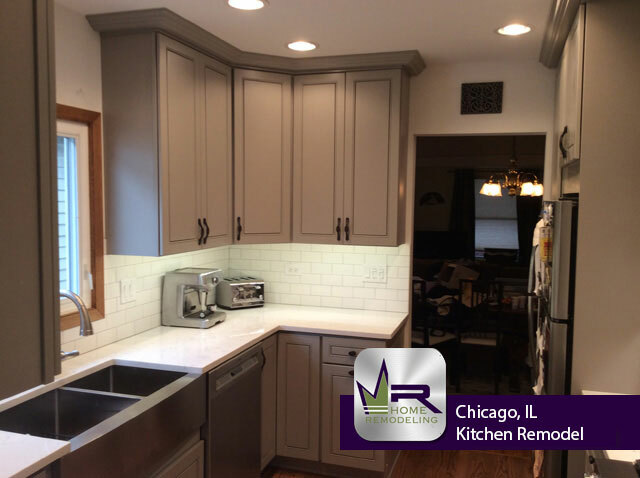 This new kitchen space looks phenomenal. 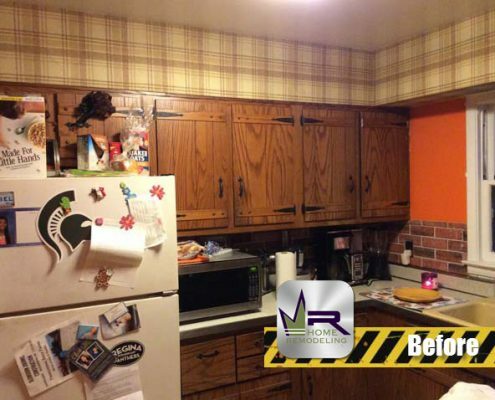 The most noticeable change is the new open floor plan. This was achieved by tearing down the wall that previously separated the kitchen and dining room. 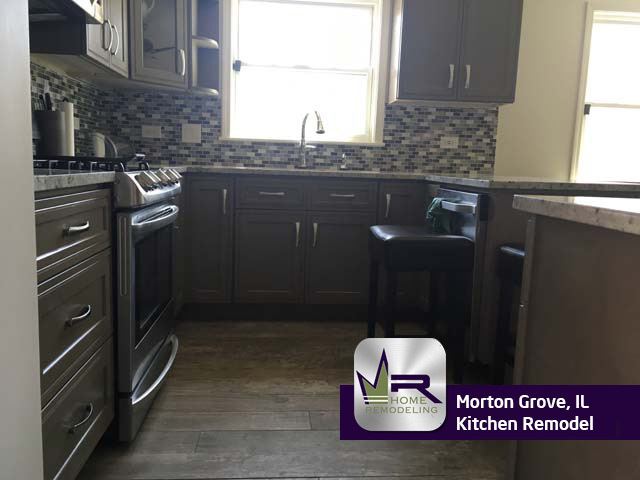 This change allowed for much more space in the kitchen making entertaining and preparing meals extremely easy and even more enjoyable. 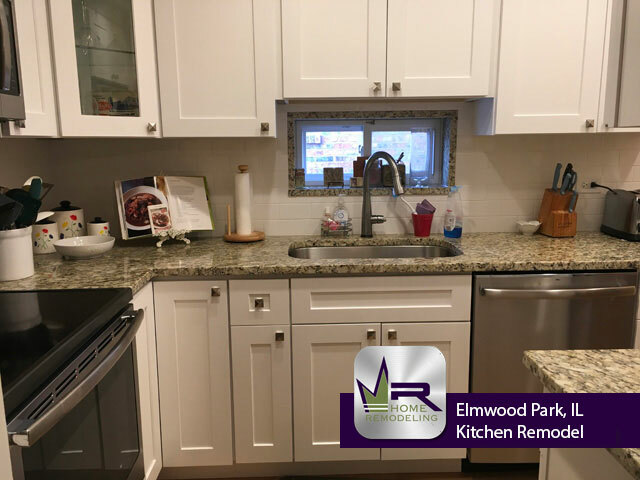 Additionally, by removing the partition wall, Regency was able to build a bar countertop that creates a new seating area, much more countertop space, and even more storage. 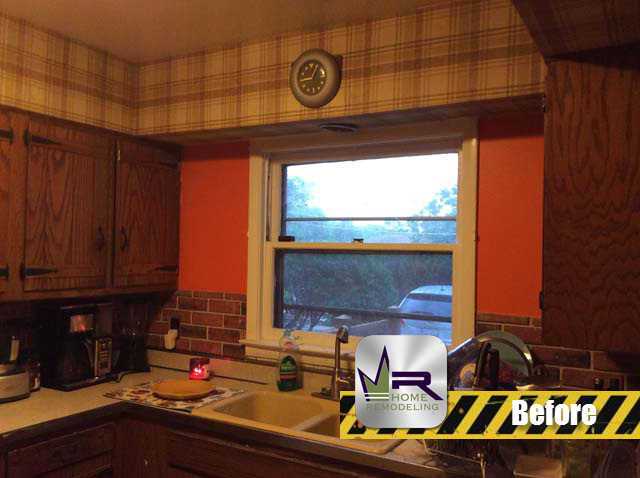 The new color scheme makes the kitchen as a whole appear much brighter, cleaner, and more welcoming. 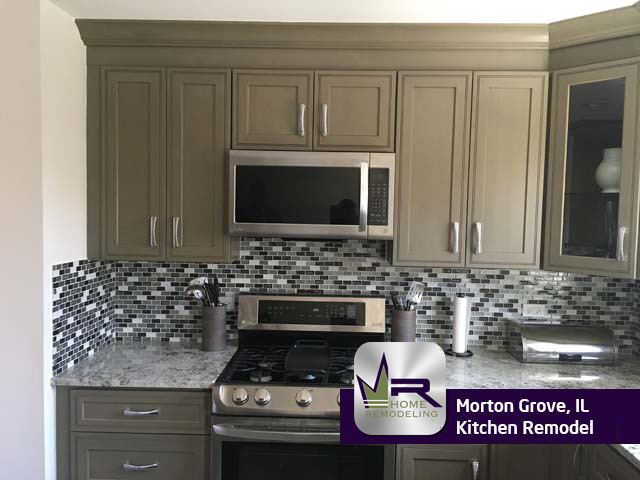 This bright look was achieved by installing Hazel Maple cabinets, Cotton White Granite countertops, and an Emerald Isle Crystal Shores backsplash. 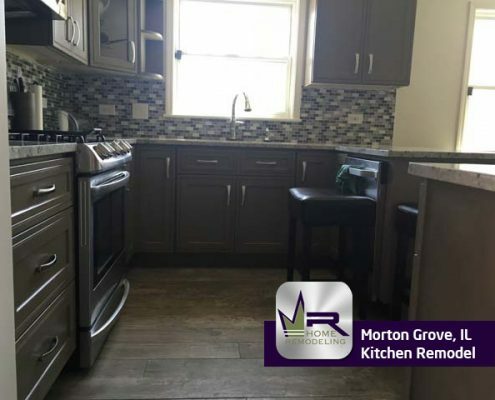 For the floor, Regency installed Orchard Grey Season Wood tiling- all tiling was supplied by Daltile. 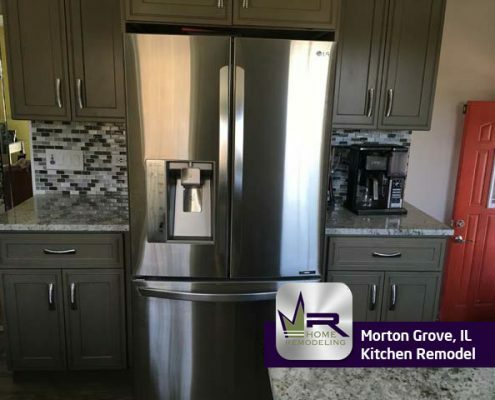 These finishes create a seamless blend with the new, stainless steel appliances and fixtures such as the LG oven, refrigerator, and microwave, as well as the Delta faucet, and soap dispenser, and the Kohler sink. 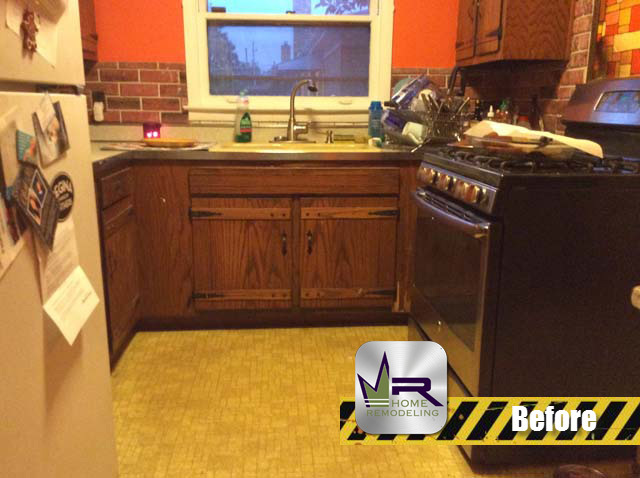 Regency successfully created the kitchen this family was hoping for and so much more. 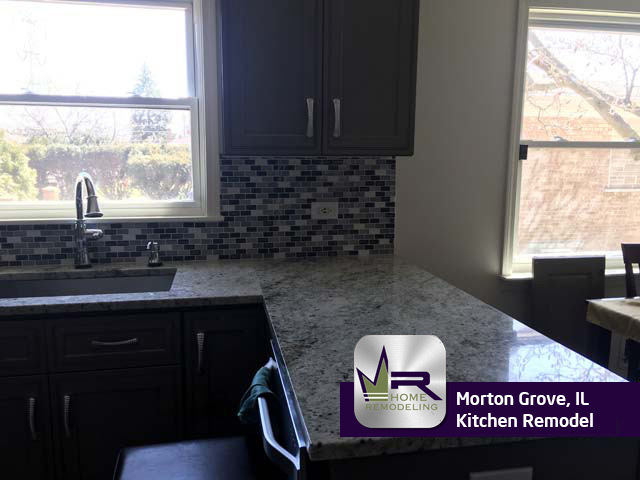 The customers will be able to look forward to using this space each and every day and will enjoy spending time with friends and family in their new kitchen. 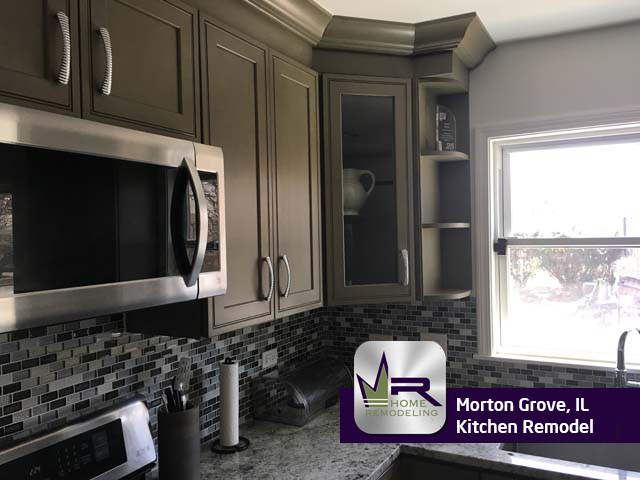 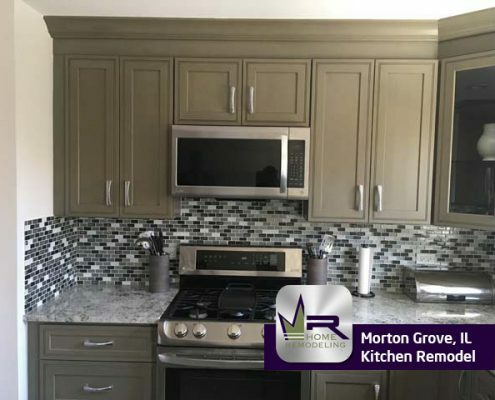 If you want a kitchen remodel in Morton Grove, IL call the experts in home improvement, Regency Home Remodeling, at 1 (773) 930-4465.